Microsoft’s flagship Lumia 950 is the first phone to run Windows 10 Mobile, and it has plenty of tempting features. You can unlock it with your iris, blow it up to desktop size with Continuum, and chat to Cortana. One thing you don’t get out of the box is protection for the 5.2-inch screen, should that slippery plastic body get away from you. 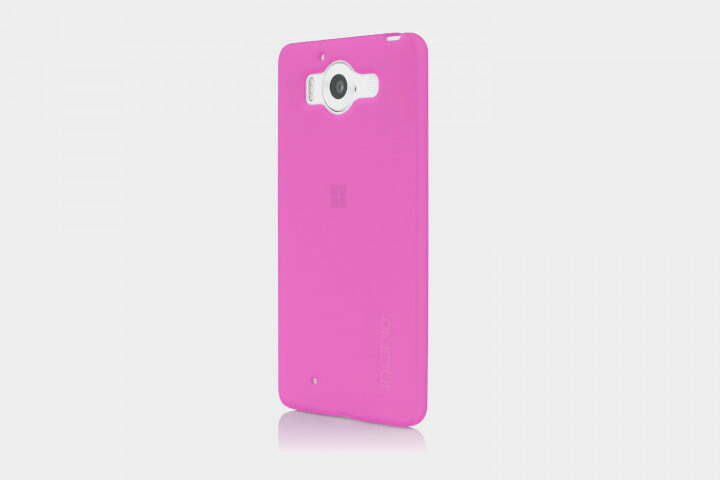 Microsoft has also done away with the colorful covers of old, so if you aren’t content with glossy plastic in black or white, then it’s time to shop for the best Lumia 950 cases. 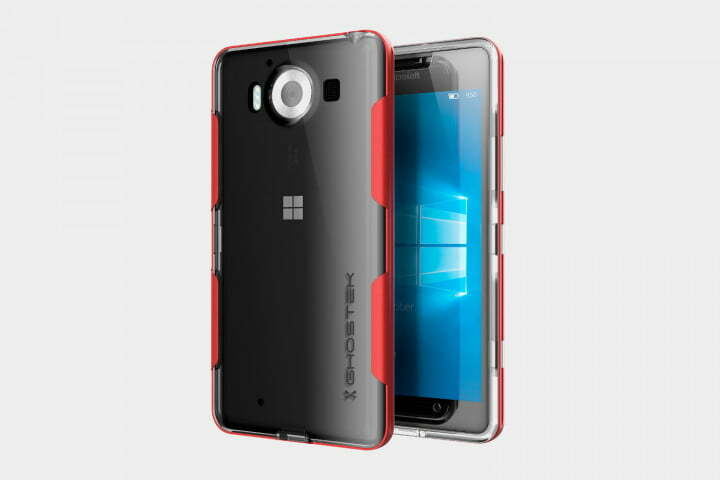 Despite being a slim and lightweight case, the Evo Check employs Tech21’s “Flexshock” technology to give you serious drop protection. 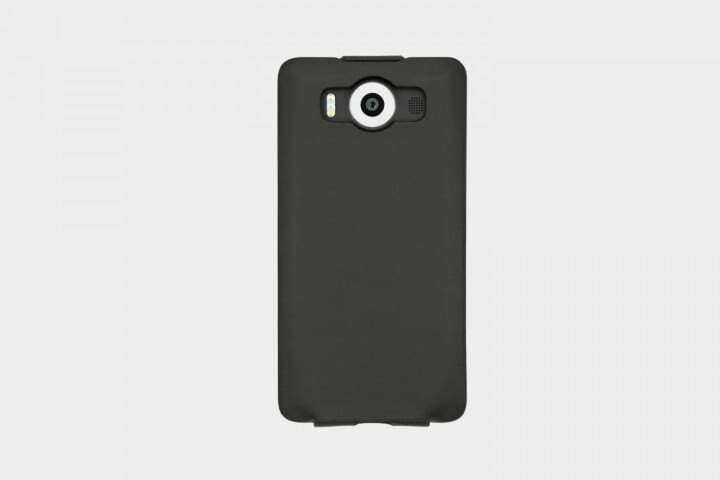 Your Lumia 950 can survive falls from up to 6.6 feet when it’s wearing this case. 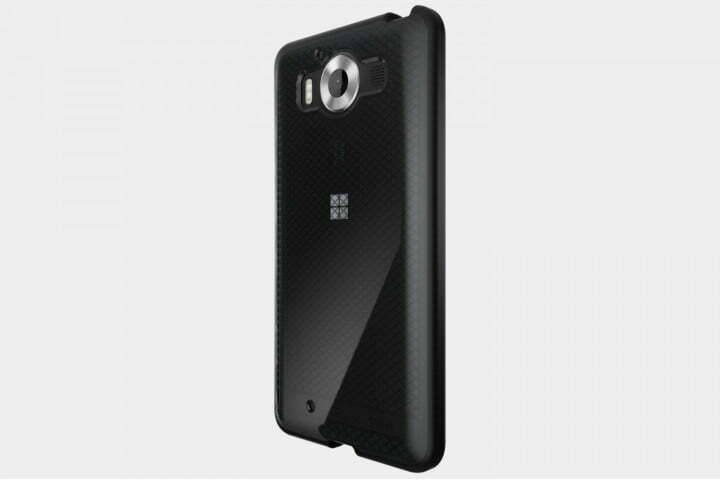 The style is pretty understated, with a check pattern crisscrossing the smoky black, translucent, flexible shell. 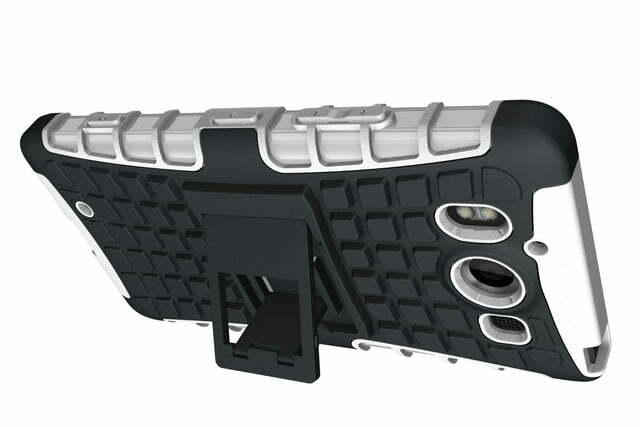 There’s plenty of reinforcement in the corners and a lip round the front to safeguard your screen. You’ll also find generous openings for the camera and ports, as well as good button covers. 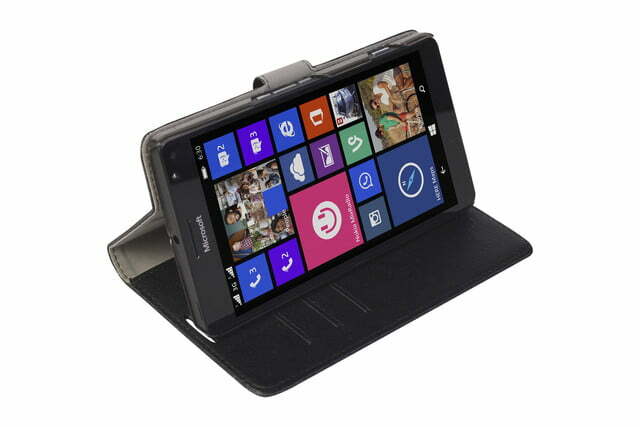 This simple case from Incipio is a great choice for anyone who dislikes bulky cases. It provides a thin layer of malleable protection that will take the sting out of any impact and prevent scratches and scuffs. The cut-outs are just where they should be for uninterrupted access to features and functions, and the button covers are easy to find and press. 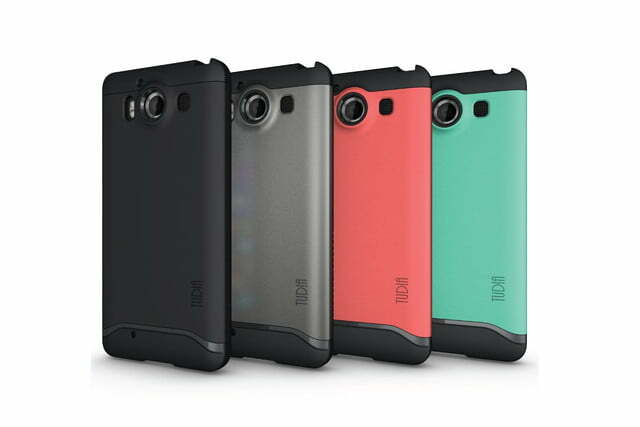 The only detail to speak of is a subtle indented Incipio logo on the back, though you can get this matte case in hot pink if the black feels too dull. 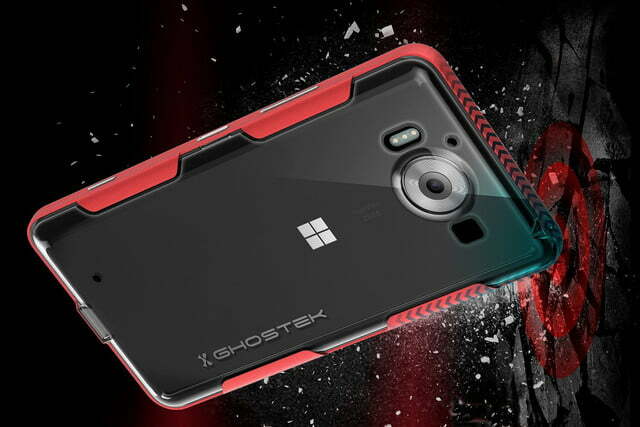 A flexible TPU shell is nothing new, and it’s a good way to get basic protection for your Lumia 950, but Ghostek has changed things up here by wrapping an aluminum frame around it. The main TPU shell is actually transparent, with a Ghostek logo on the back, but the aluminum frame comes in black, gold, red, or silver and features metallic button covers. 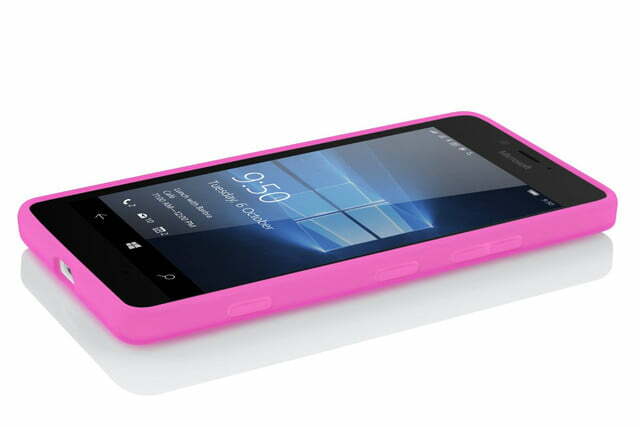 You’ll also get a tempered glass screen protector in the box for complete coverage. If you want something classy to slip out of your pocket during meetings, then Noreve’s real hand-crafted leather cases are always worth a look. 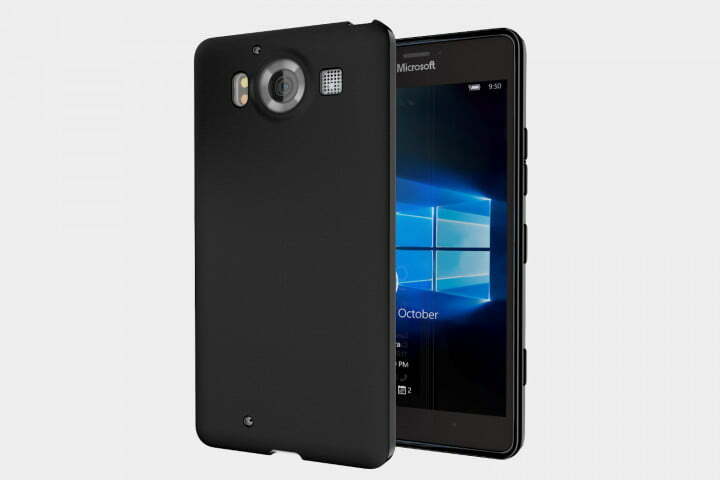 This one flips open vertically and has a snug shell inside that will hold your Lumia 950 securely in place. The exterior is padded for extra protection, and the interior boasts a soft, embossed lining. You’ll find that the openings for access to buttons, ports, camera, and speaker work perfectly. 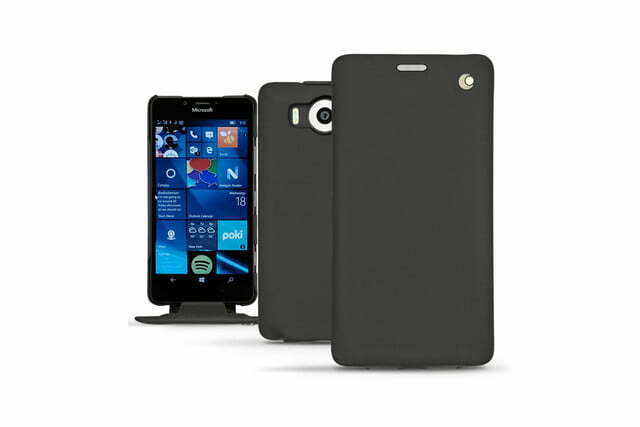 You can customize this case further with alternative colors and textured finishes if you pay a little more. This is as basic as it gets. 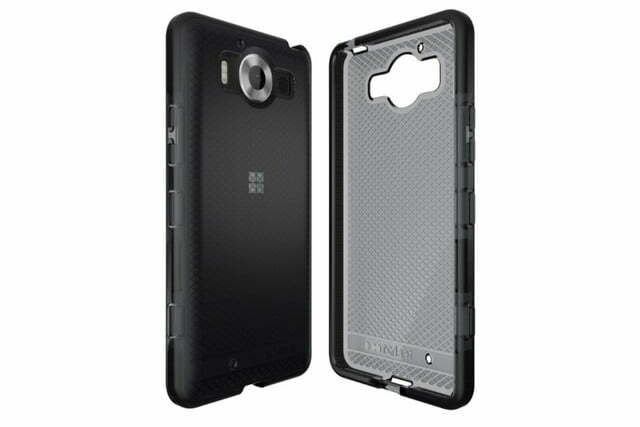 A thin TPU shell with no markings that comes in black, blue, or purple. The back has a matte finish, but there are gloss highlights around the frame. 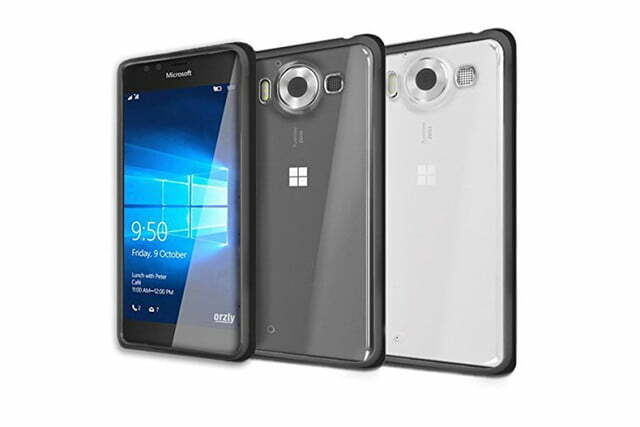 It has a slight lip to protect the display and it adds grip, so you’re less likely to drop your Lumia 950 in the first place. 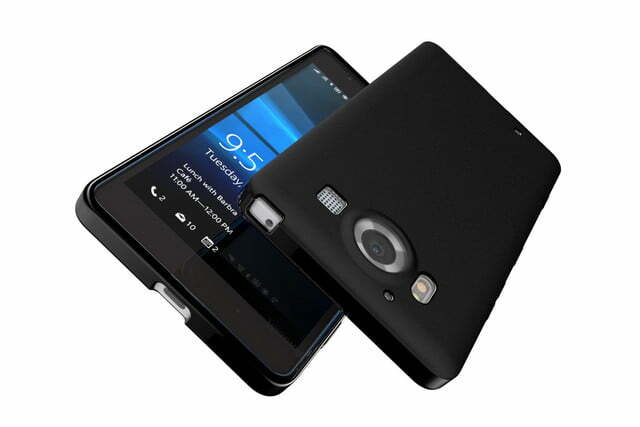 The openings for ports and features are quite tight and there are thin button covers. 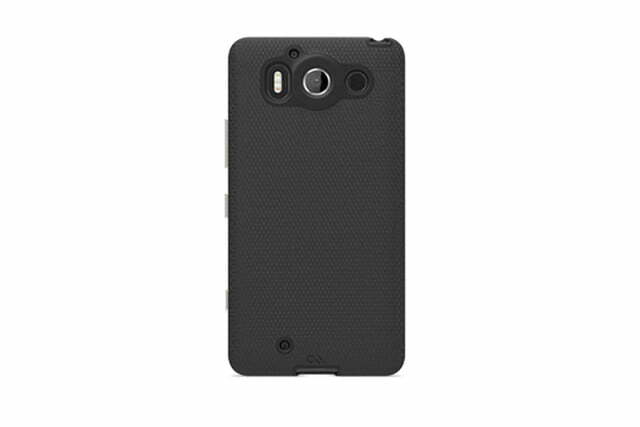 Cimo also offers another version of this case with a gloss wave pattern on the back.